1928. 2 October: While on a spiritual retreat in Madrid, Saint Josemaría Escrivá, under divine inspiration, founded Opus Dei. 1930. 14 February: In Madrid, while Saint Josemaría was celebrating Mass, God made him understand that Opus Dei was for women too. 1933. The first center of Opus Dei was opened in Madrid: the DYA Academy, mainly for students, where classes in law and architecture were given. 1936. 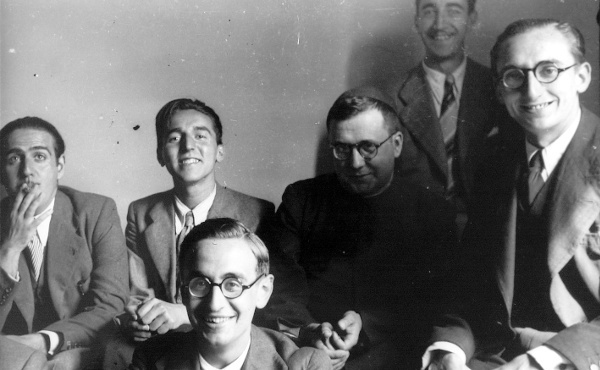 The Spanish Civil War temporarily delayed Saint Josemaría’s plans to expand the apostolic work of Opus Dei to other countries. 1939. Fr. Josemaría returned to Madrid. Expansion of Opus Dei to other Spanish cities. World War II prevented expansion to other countries. 1941. 19 March: The bishop of Madrid, Leopoldo Eijo y Garay, granted the first diocesan approval of Opus Dei. 1943. 14 February: Again during Mass, God let Fr. Josemaría see the juridical solution that would enable priests to be ordained for Opus Dei: the Priestly Society of the Holy Cross. 1944. 25 June: The bishop of Madrid ordained the first three faithful of Opus Dei who became priests: Álvaro del Portillo, José María Hernández de Garnica, and José Luis Múzquiz. 1946. St Josemaría moved to Rome. In the years that followed, he would travel from Rome throughout Europe to prepare the beginnings of the apostolic work of Opus Dei in several different countries. 1947. 24 February: The Holy See granted the first pontifical approval. 1950. 16 June: Pius XII granted the definitive approval to Opus Dei. This approval enabled married people to join Opus Dei, and secular clergy to be admitted to the Priestly Society of the Holy Cross. 1969. A special general congress of Opus Dei met in Rome to study the change of Opus Dei’s legal status in the Church to that of a personal prelature, a juridical structure introduced by the Second Vatican Council and suited to the pastoral characteristics of Opus Dei. 1970-1975. Saint Josemaría made various trips around Europe and the Americas to speak to people about the Christian faith. 1975. 26 June: Josemaría Escrivá died in Rome. 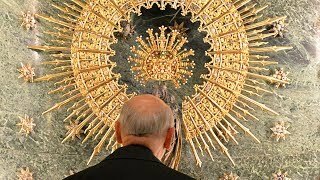 Around 60,000 people belonged to Opus Dei at that time. 15 September: Álvaro del Portillo was elected to succeed the founder at a congress of Opus Dei members called for that purpose, in accordance with the Statutes by which Opus Dei is governed. 1982. 28 November: John Paul II established Opus Dei as a personal prelature, appointing Álvaro del Portillo as its prelate. 1991. 6 January: John Paul II ordained Álvaro del Portillo as a bishop. 1992. 17 May: Beatification of Josemaría Escrivá in Saint Peter’s Square in Rome. 1994. 23 March: Death of Bishop Alvaro del Portillo in Rome at the age of 80, just hours after returning from a trip to the Holy Land. 20 April: John Paul II appointed Msgr. Javier Echevarría as Prelate of Opus Dei, confirming the election carried out by the general elective congress held in Rome. 1995. 6 January: Msgr. Javier Echevarría was ordained as a bishop by John Paul II. 2002. 6 October: Canonization of Josemaría Escrivá in Saint Peter’s Square in Rome.